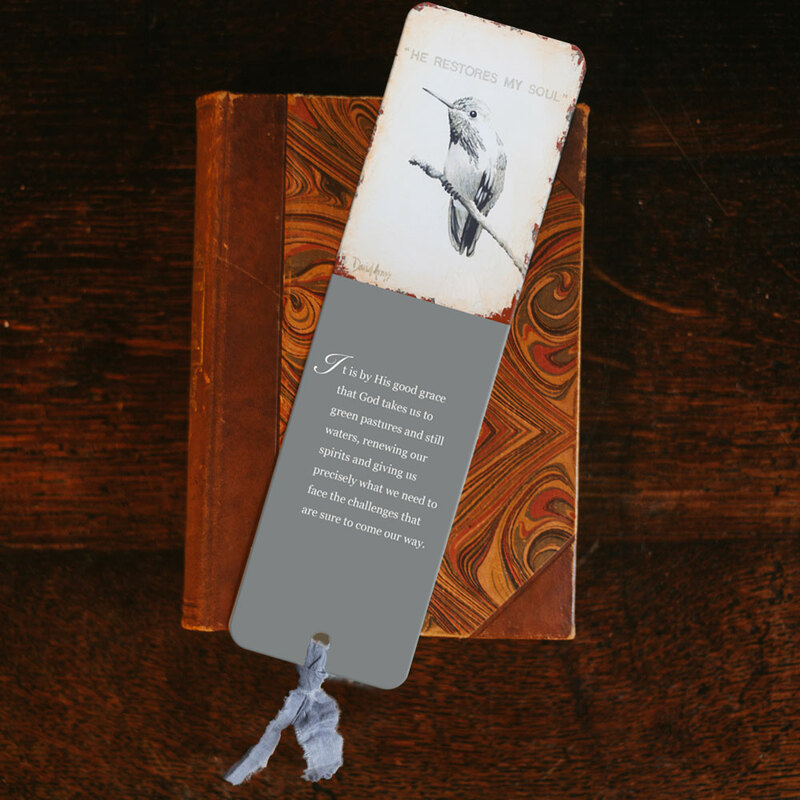 Books are one of my great joys in life. 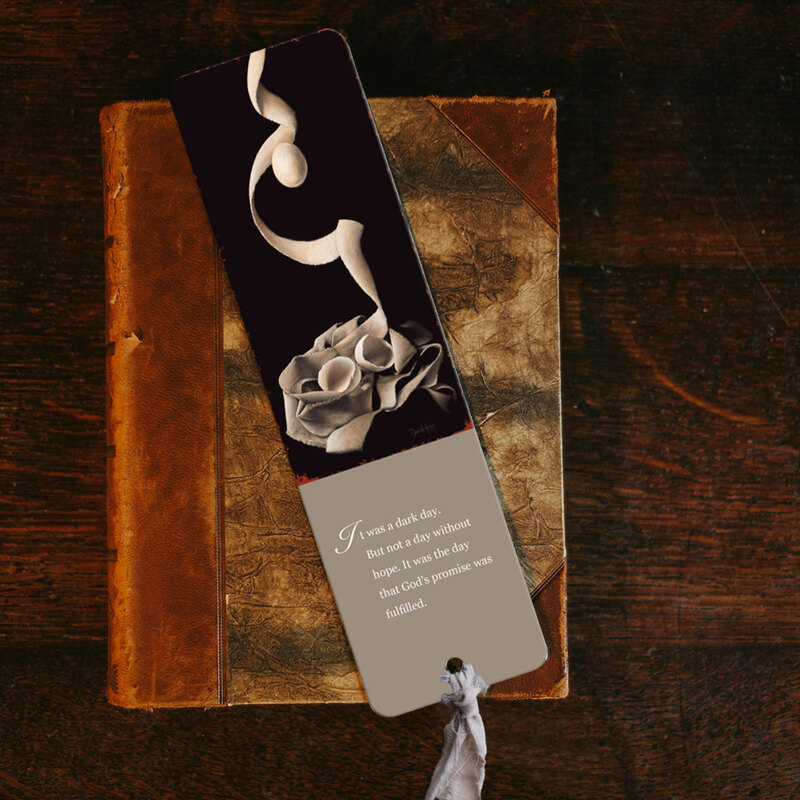 I still prefer to touch and smell the paper, hold it in my hand, and slowly watch my progression as I turn one page at a time. 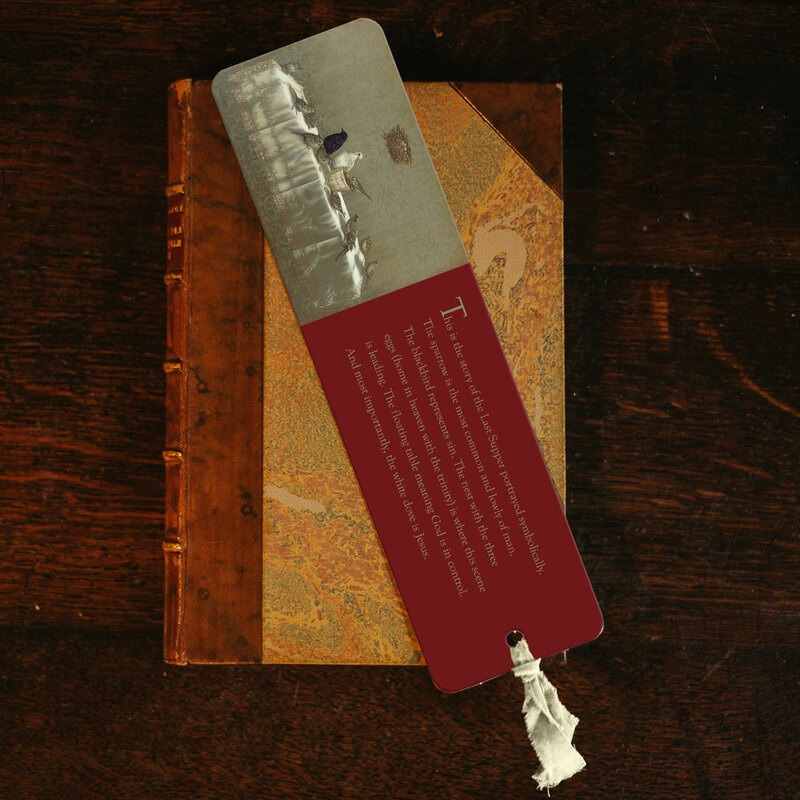 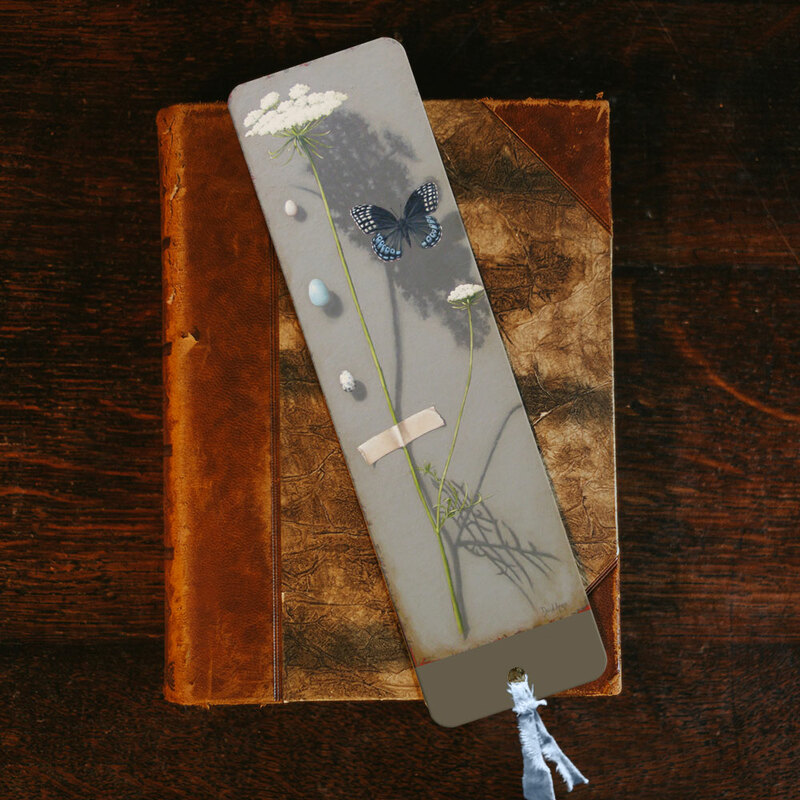 A bookmark can be personal for me. 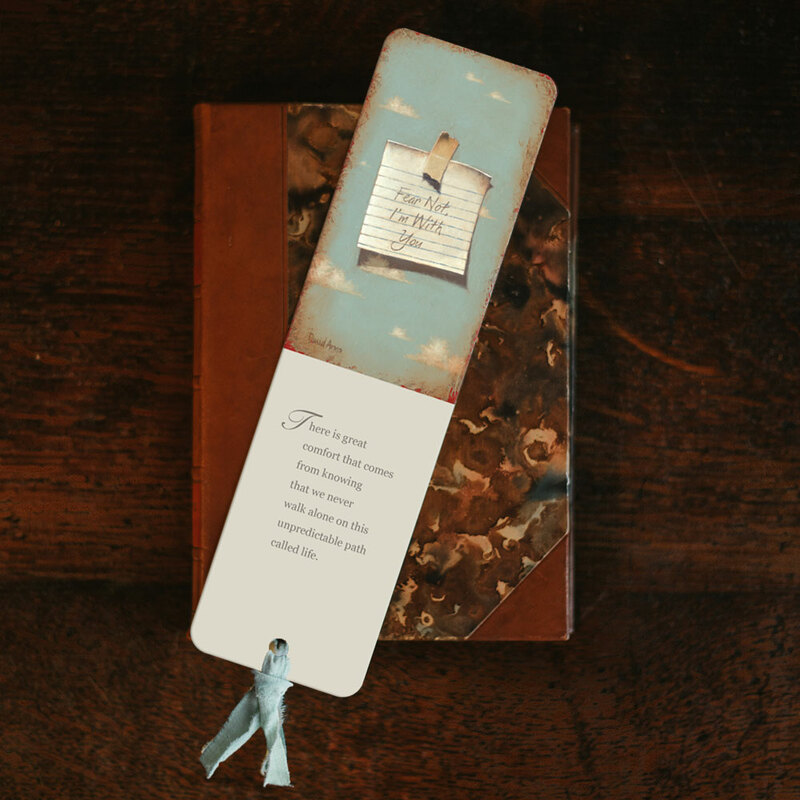 It can say something about myself or the person who gave it to me. 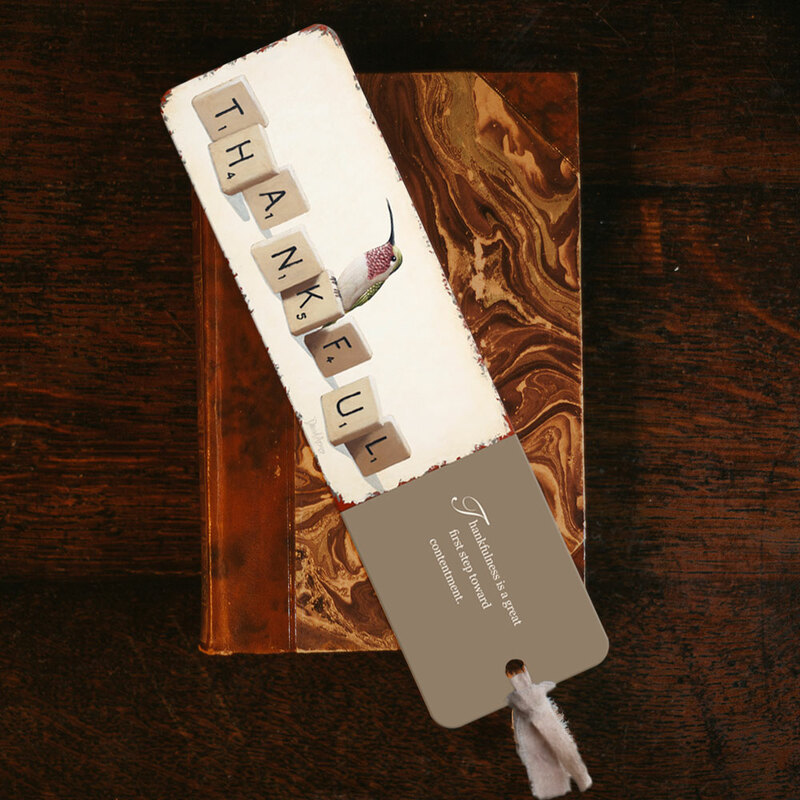 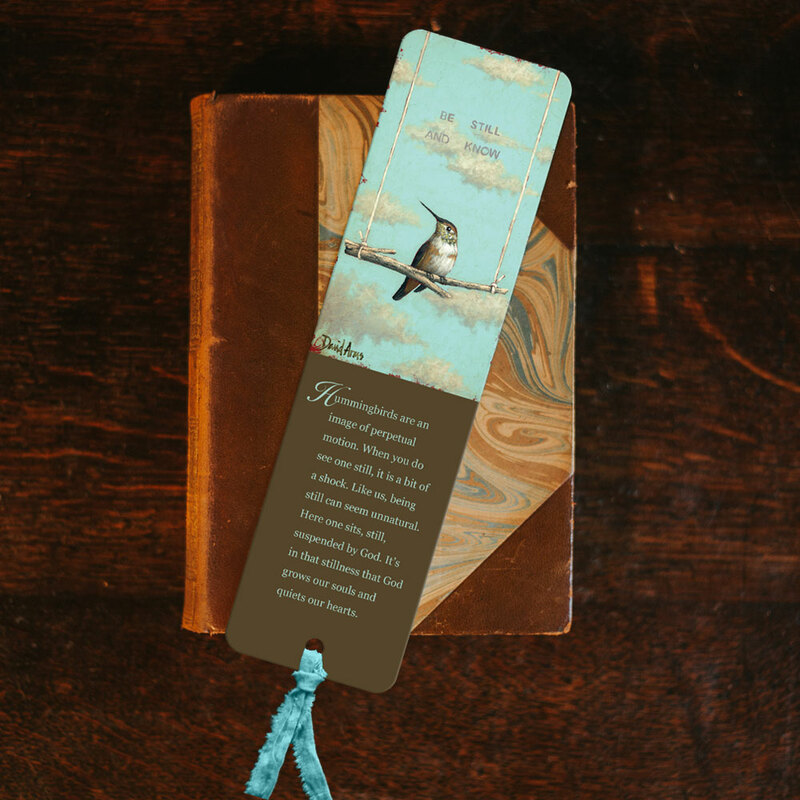 If I receive one as a gift, I am reminded of that special person continually as I move it from page to page, then book to book. 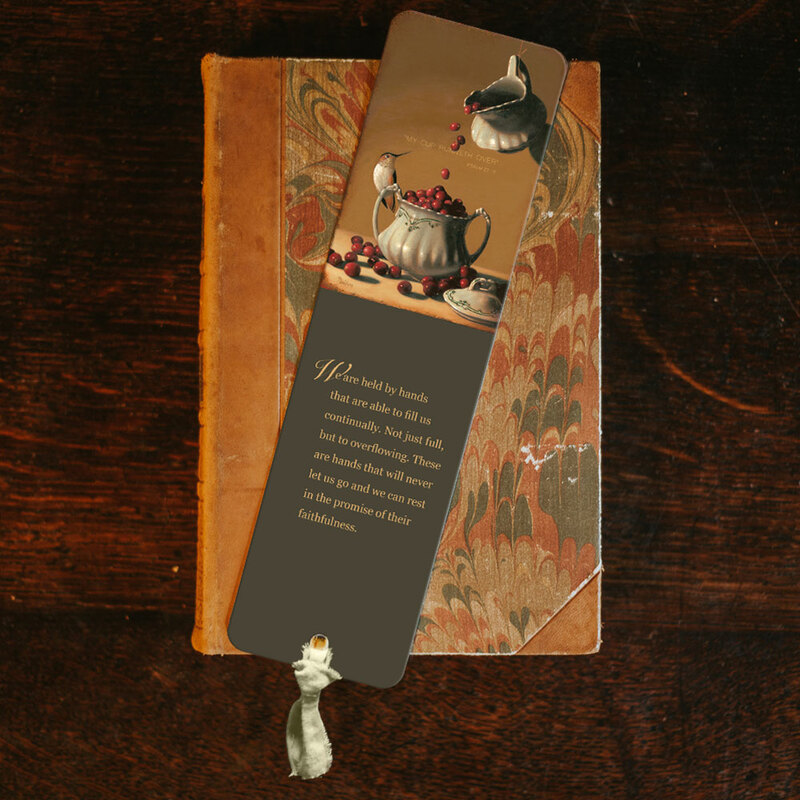 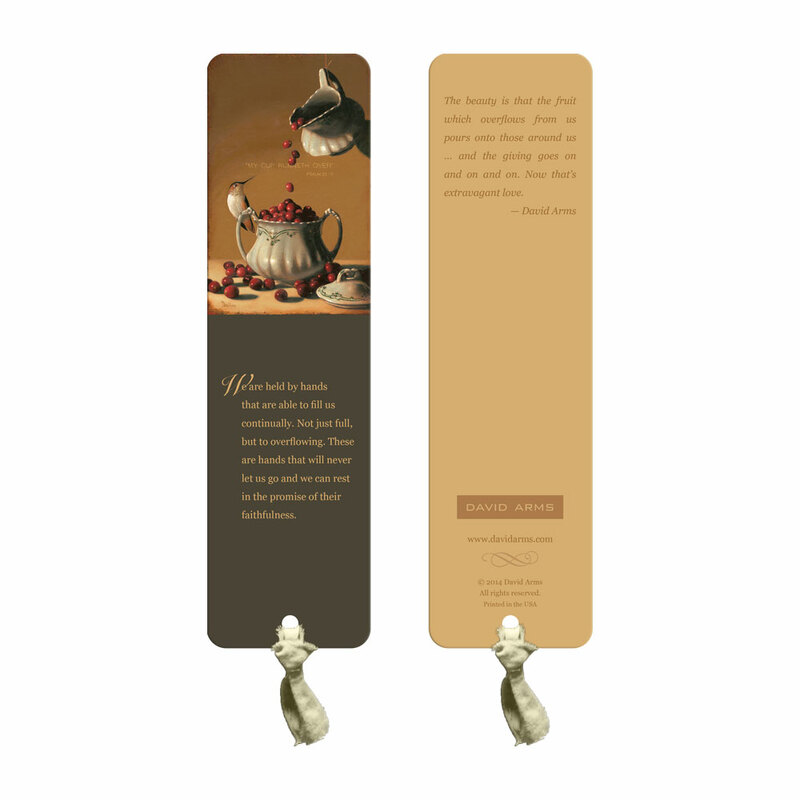 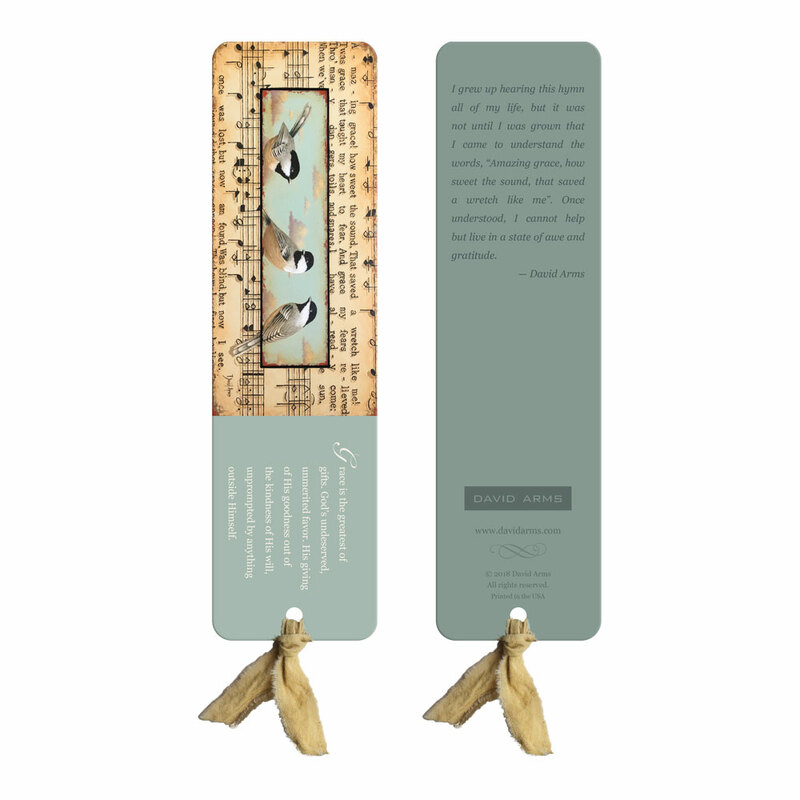 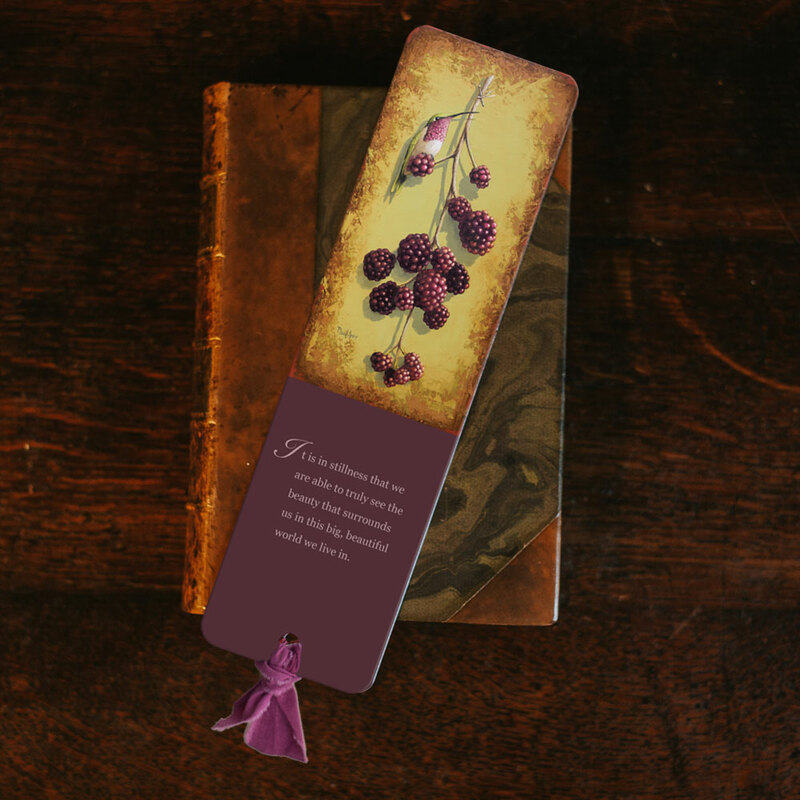 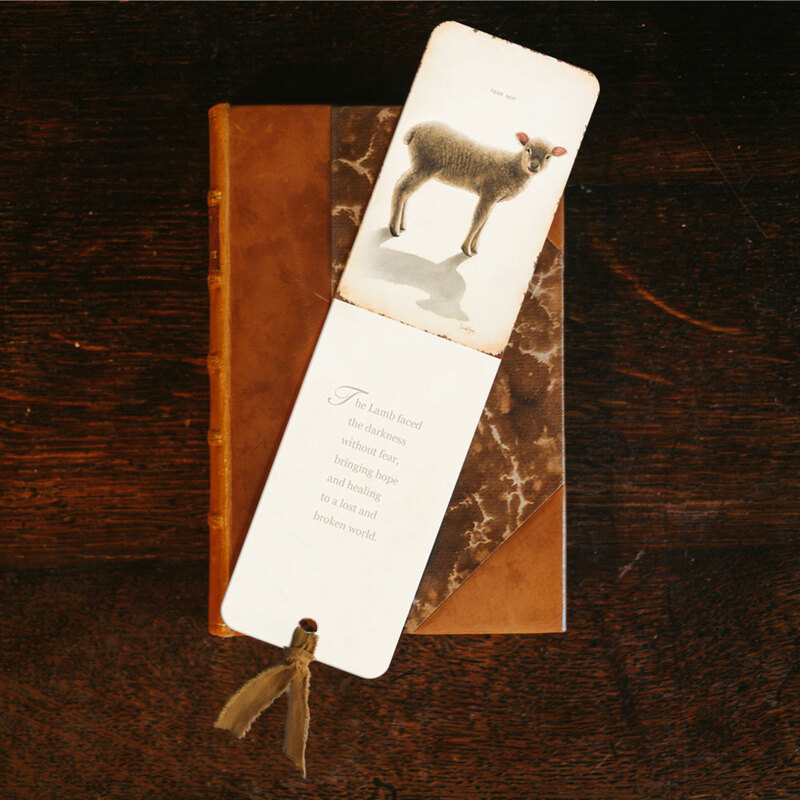 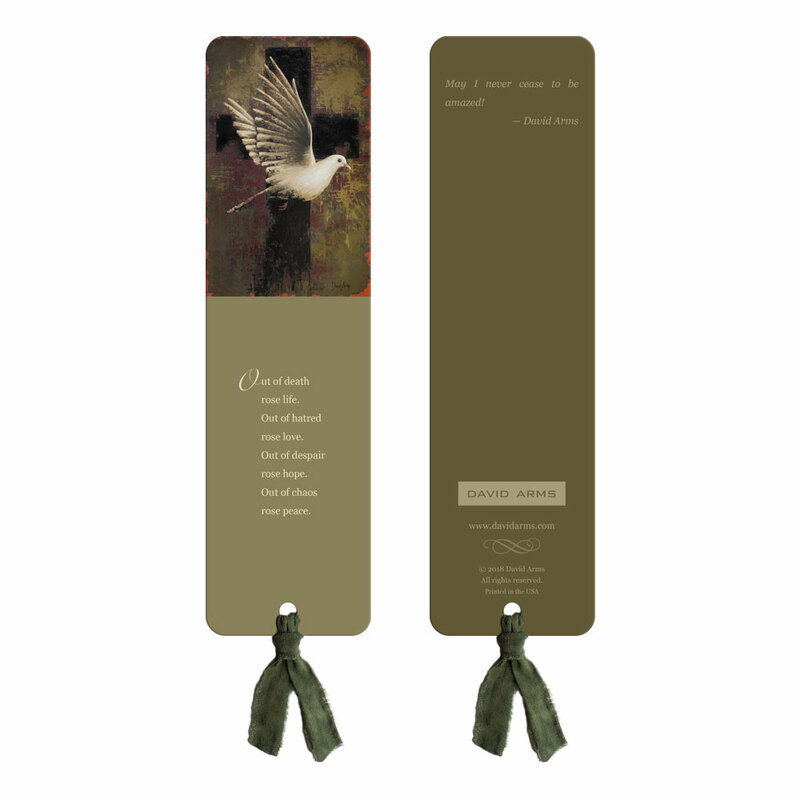 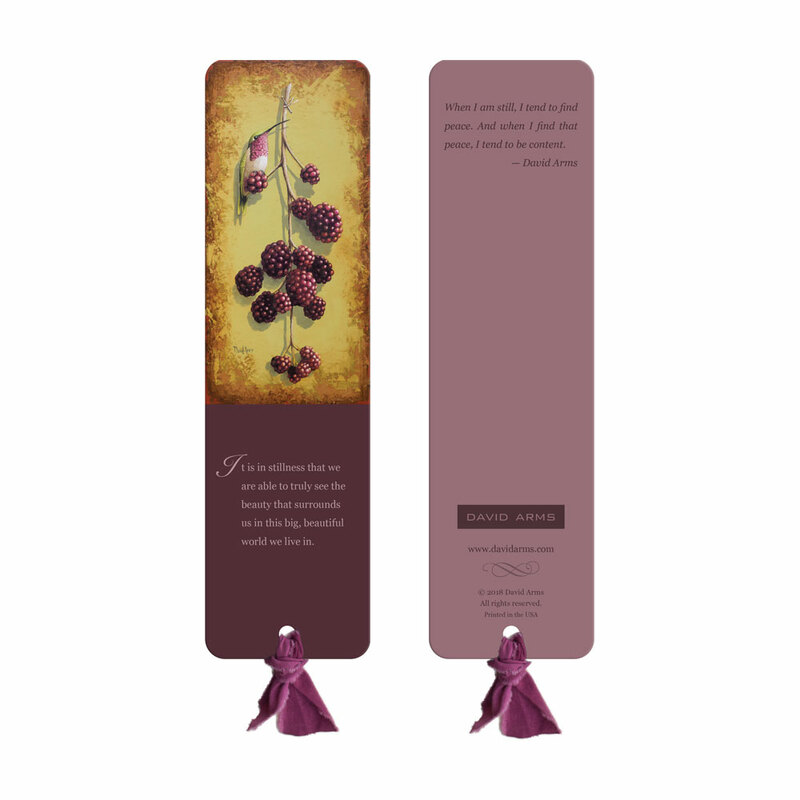 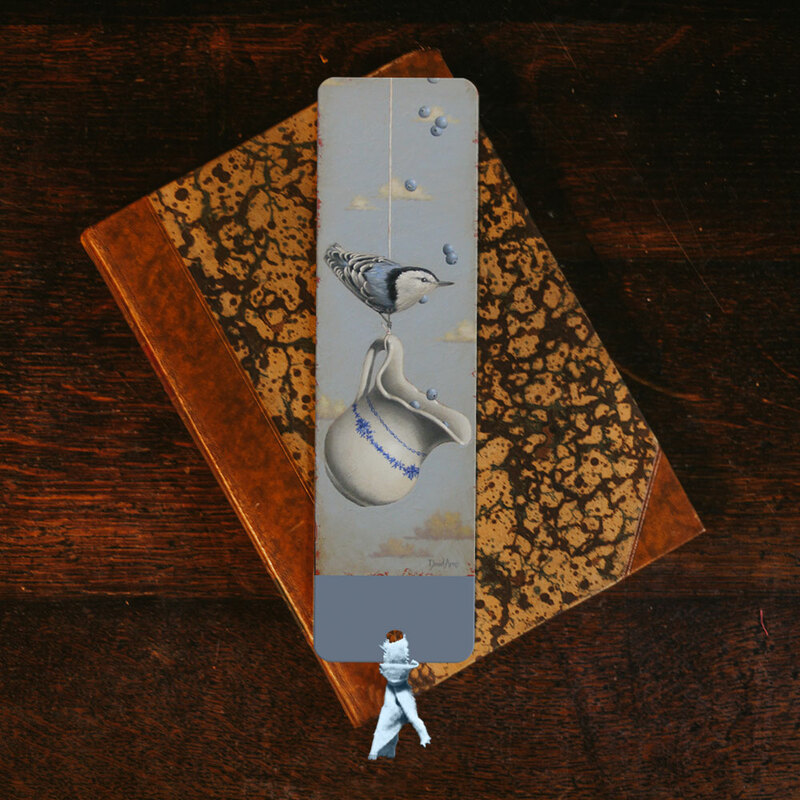 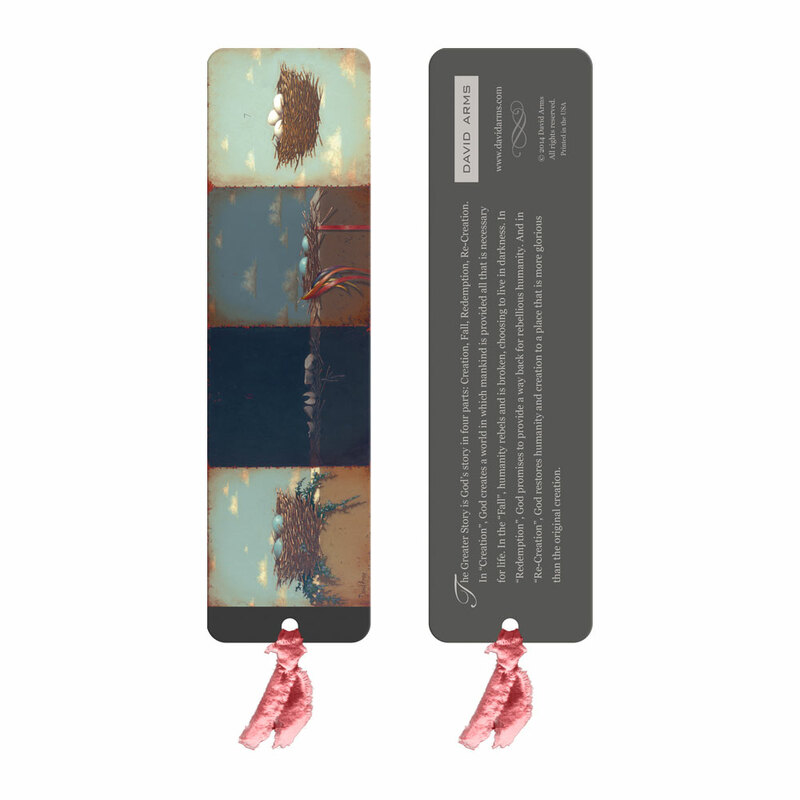 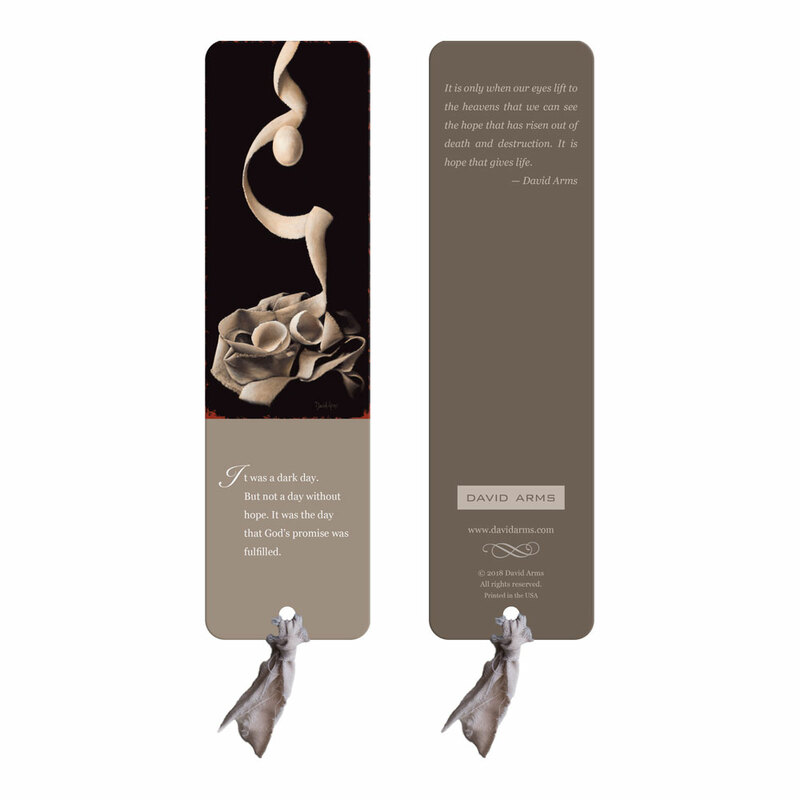 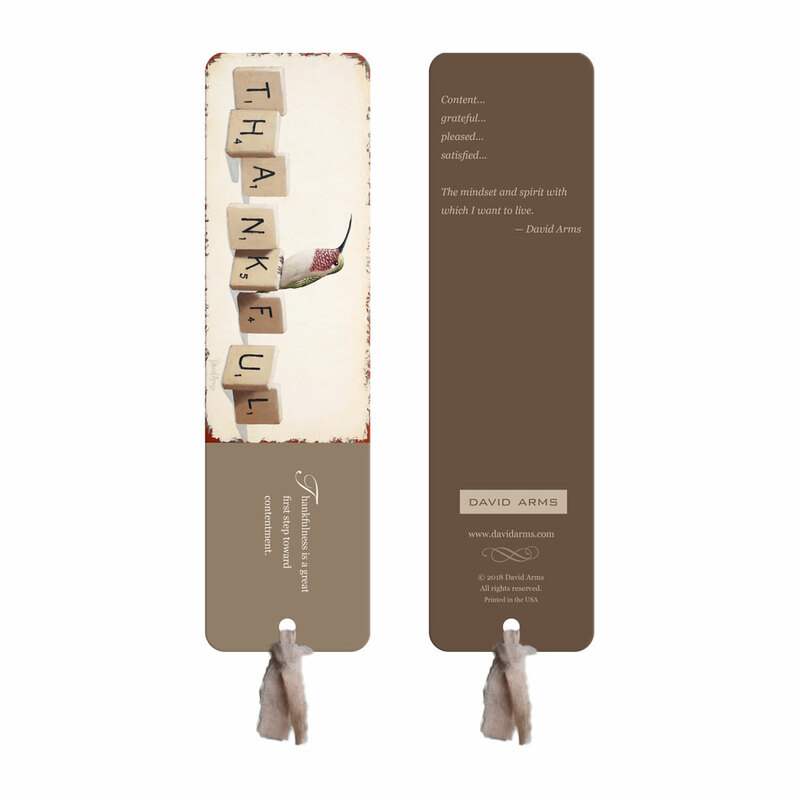 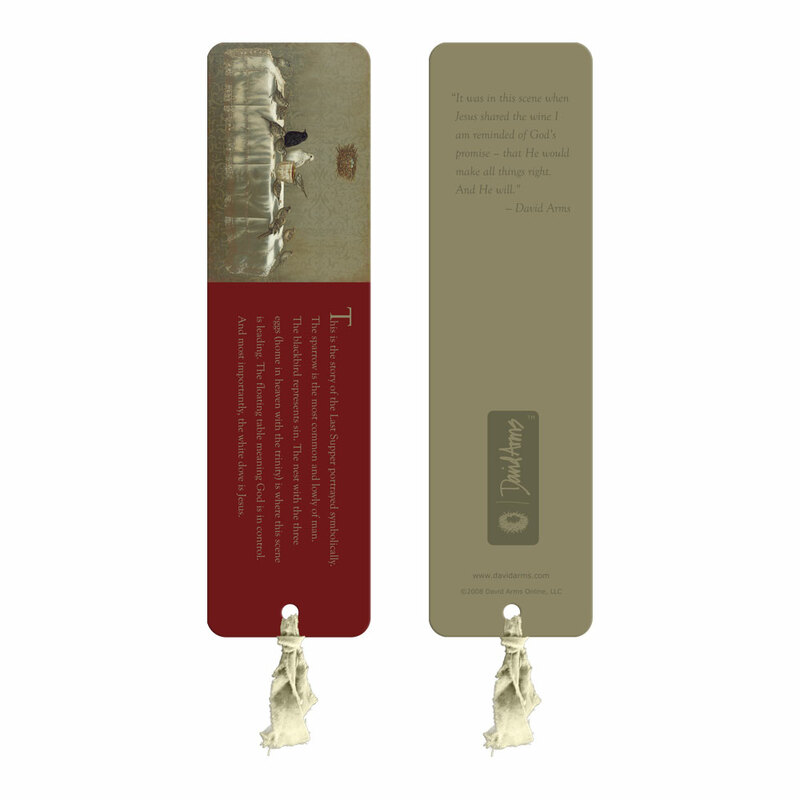 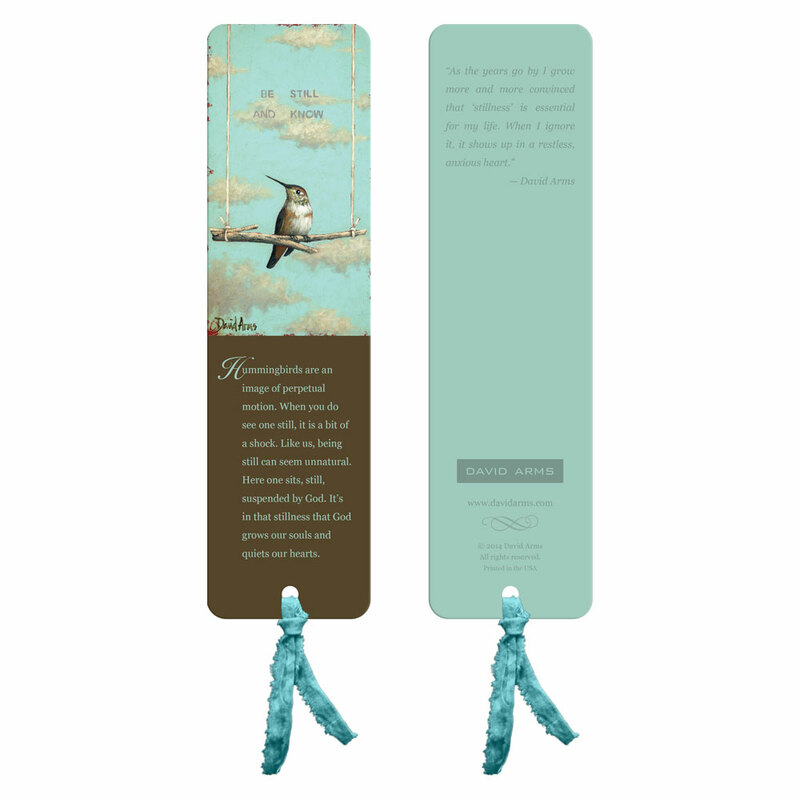 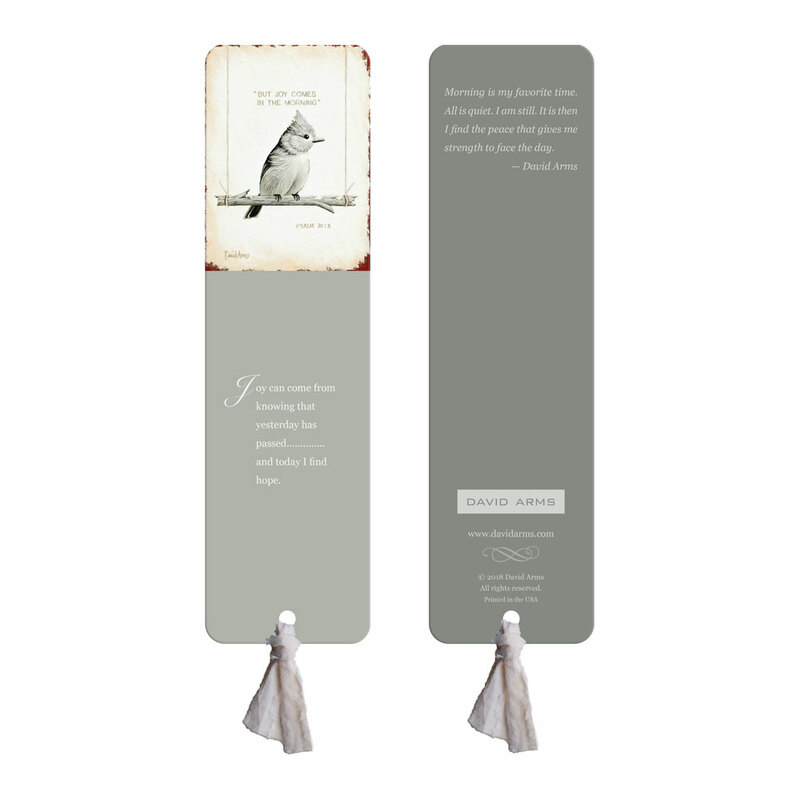 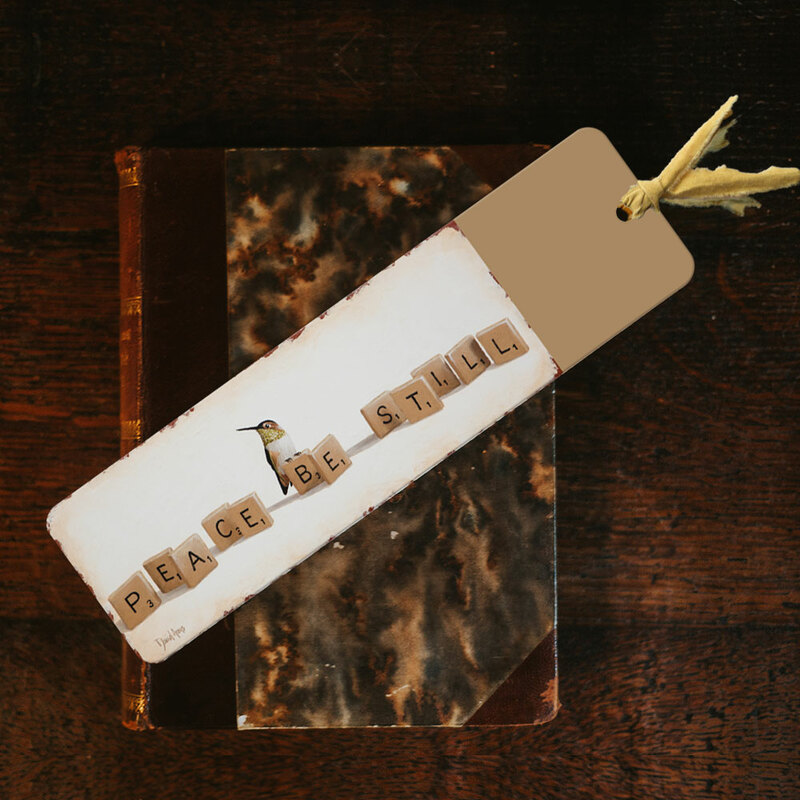 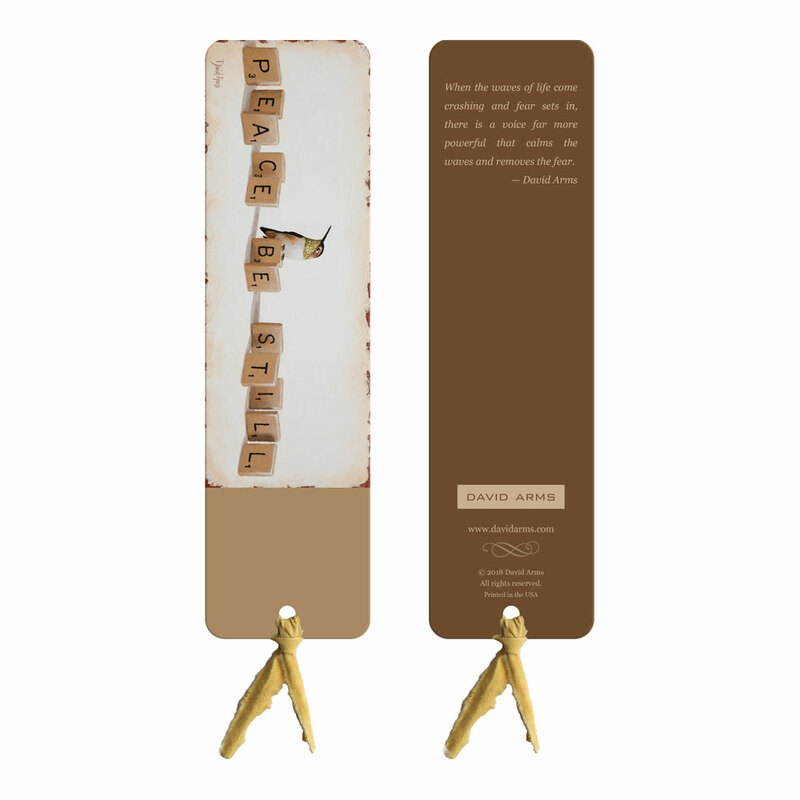 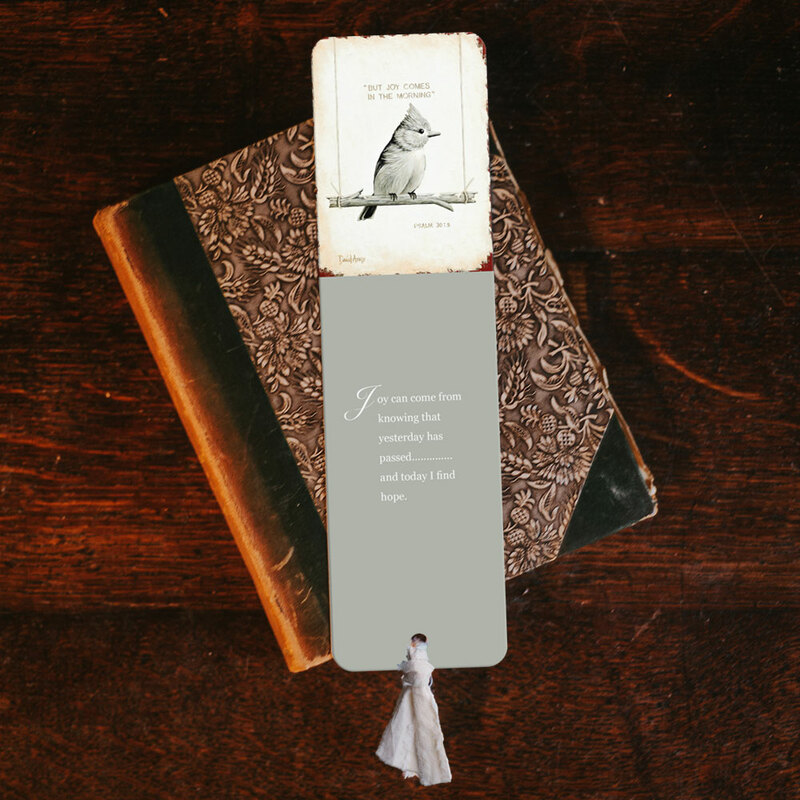 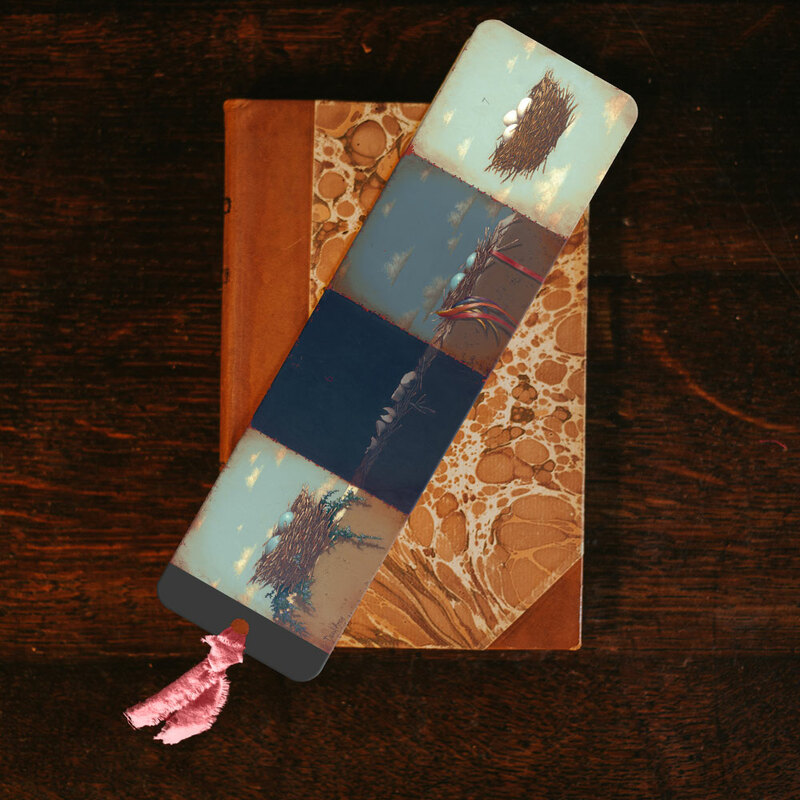 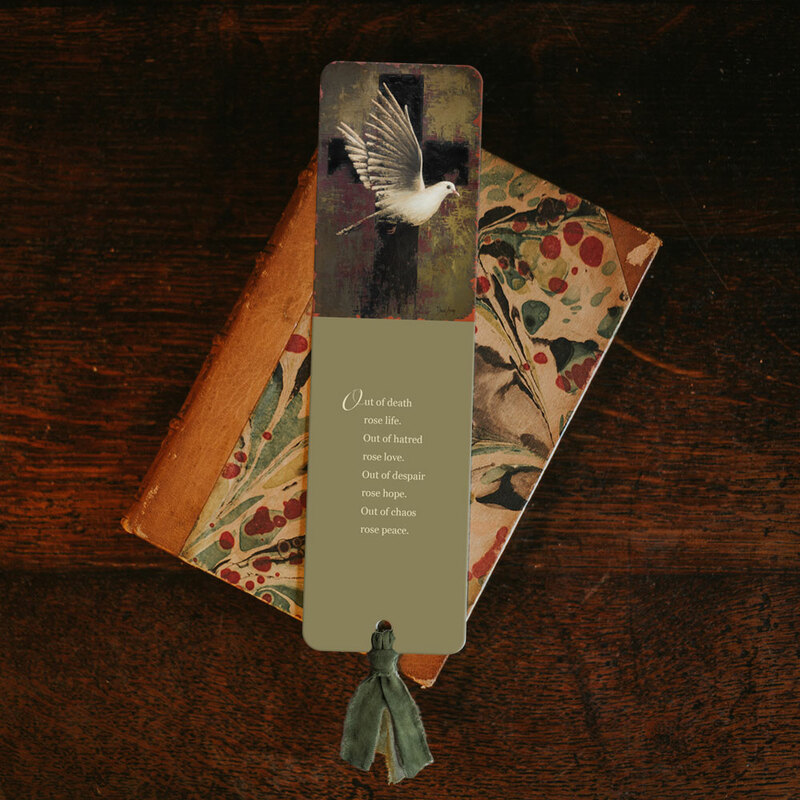 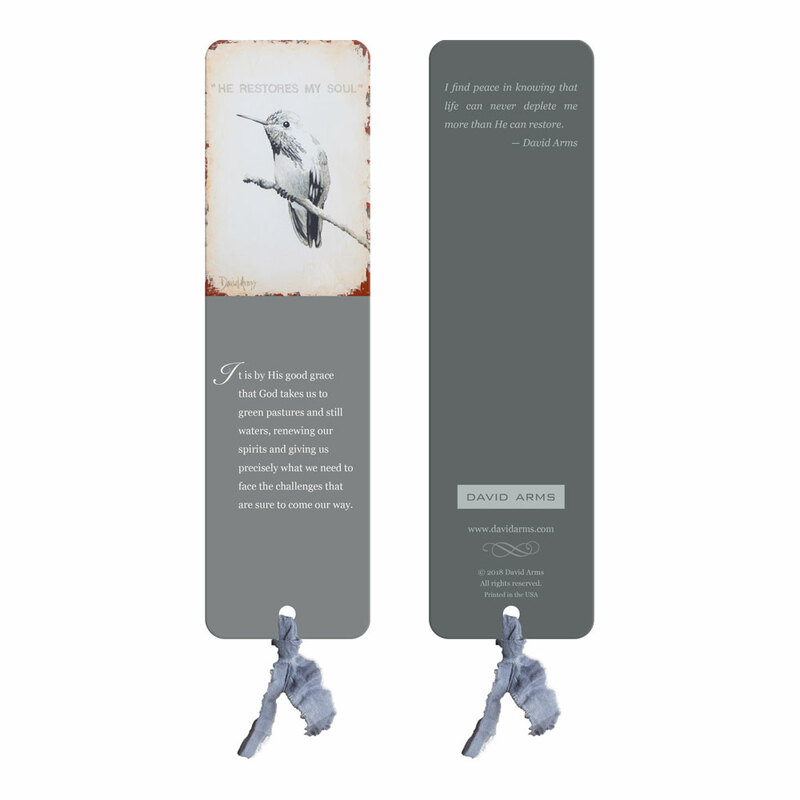 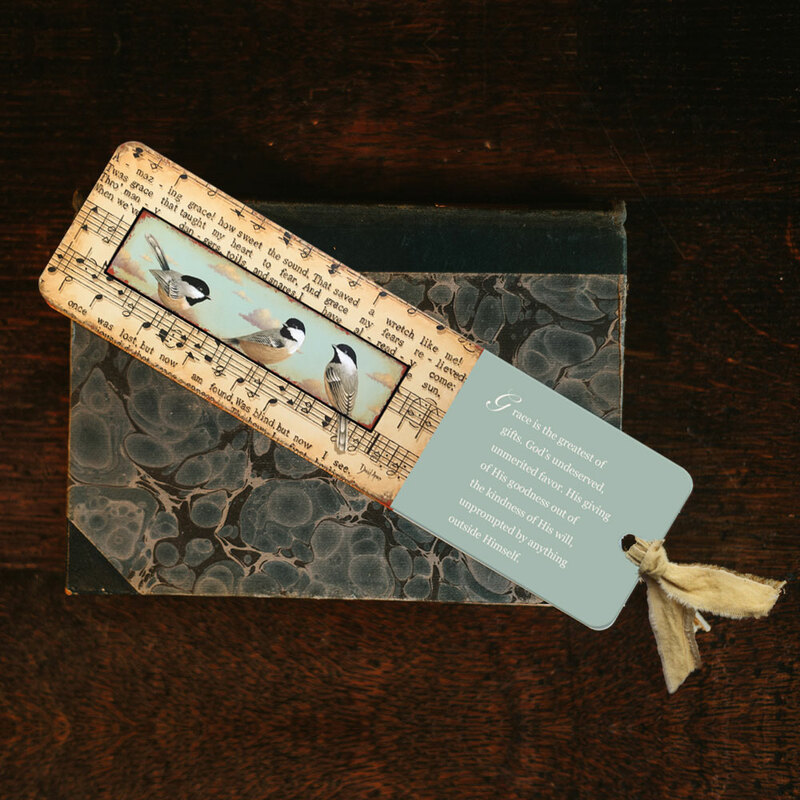 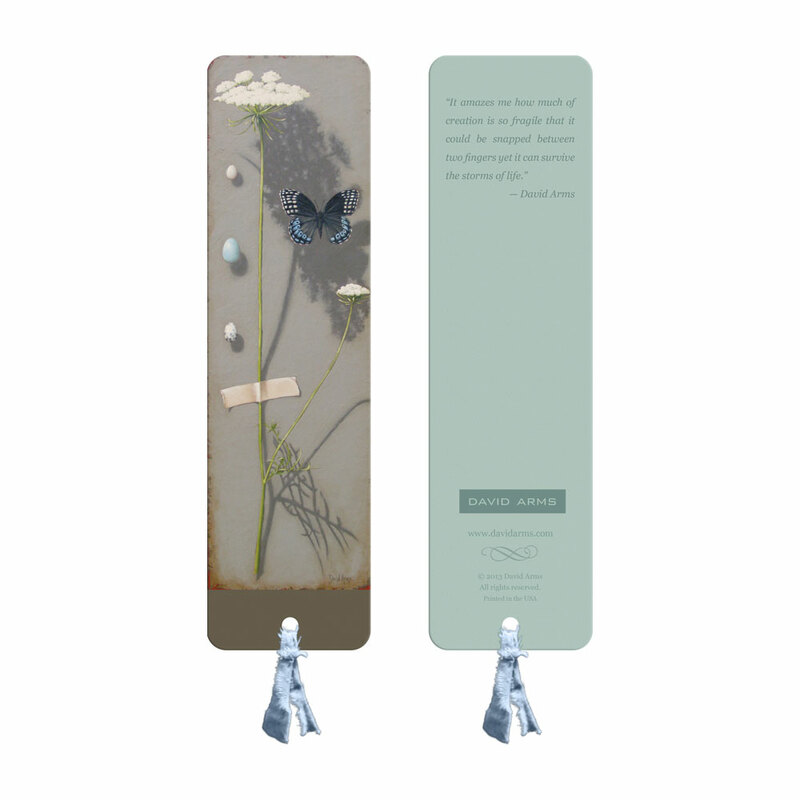 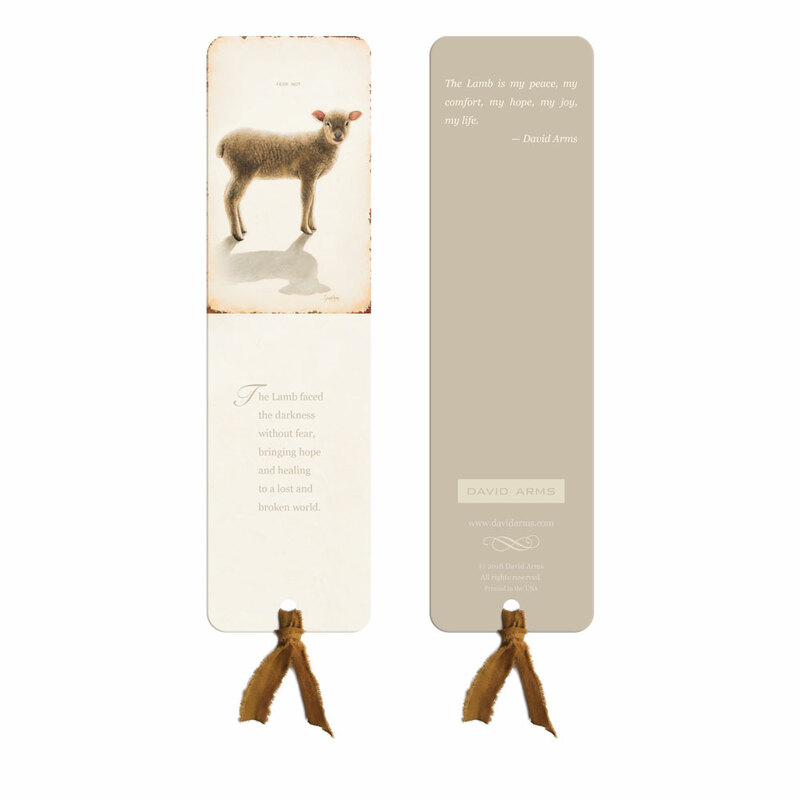 Printed on a heavy stock, each 2.5” x 9” bookmark has a painting and a thought relating to faith and hope. 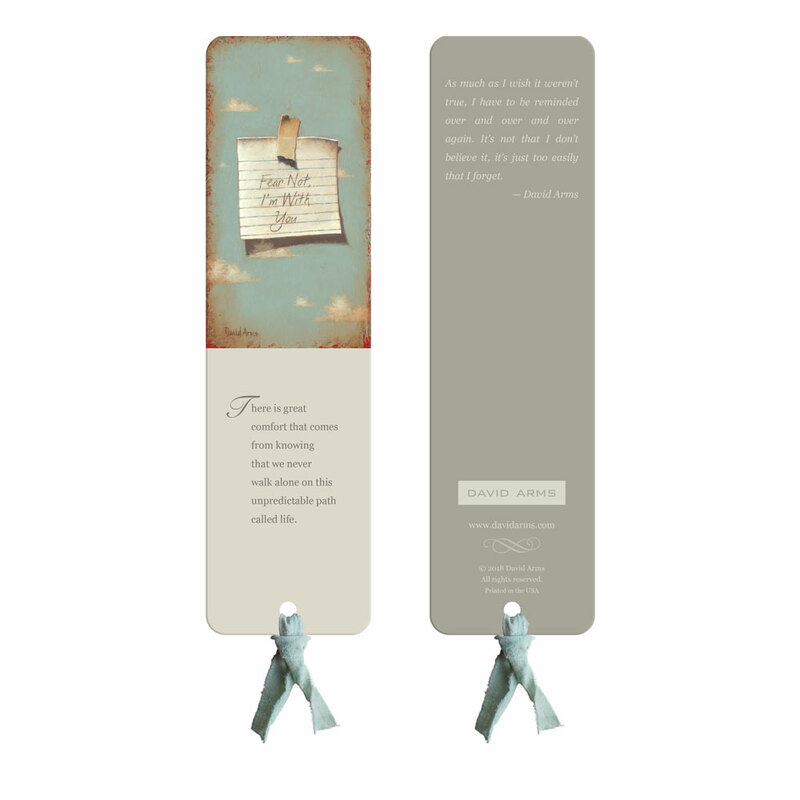 Tied with hand-dyed, cotton ribbon.